Moving day, but still time for a short hike before we have to get serious about hiking between the apartment and the truck. It was a cooler day and overcast. We parked in Bathurst Park on the West Don River. 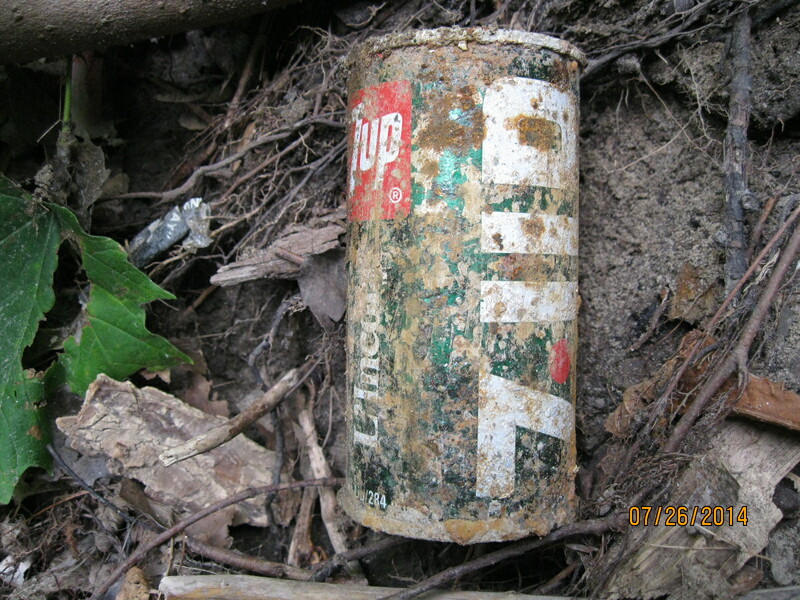 We hiked south along the river into an area known as the Hinder Property. 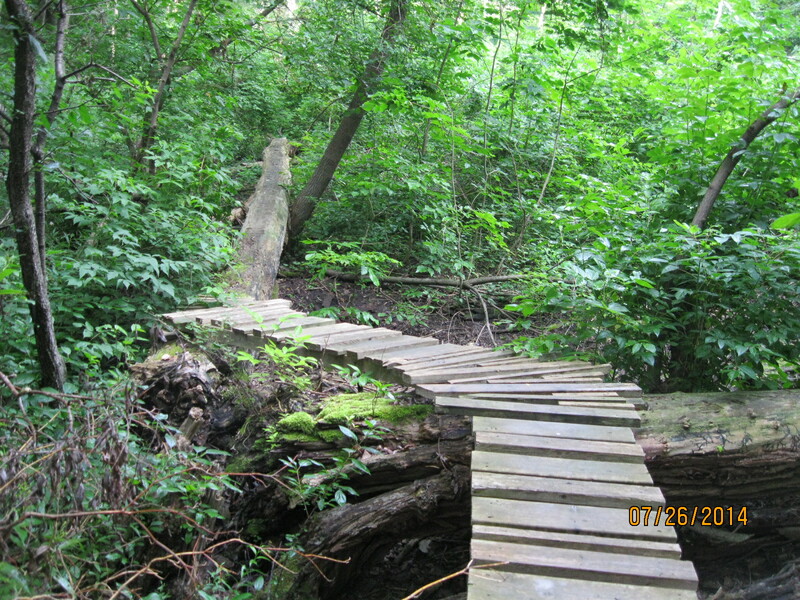 An extensive mountain bike trail runs through the area making use of fallen trees and boardwalks. 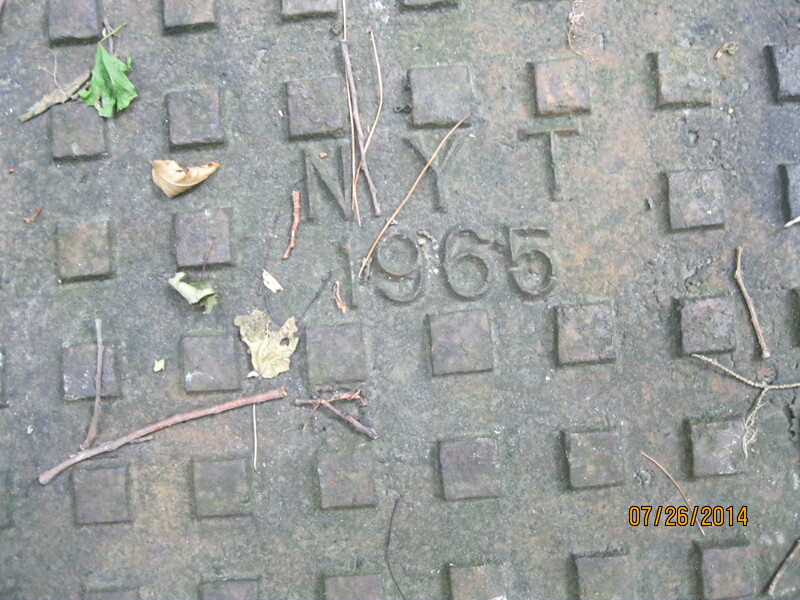 As we hiked along the side of the Don river we found this sewer cover which commemorates a point in history for the City of North York. The Township of North York (NYT on this cover) was incorporated on June 13, 1922 out of the rural northern parts of York County. It became the Borough of North York in 1967 meaning that there are not too many covers made after this one that would say NYT. North York was incorporated as a city on Valentines day 1979, leading to it’s solgan “City with a Heart”. 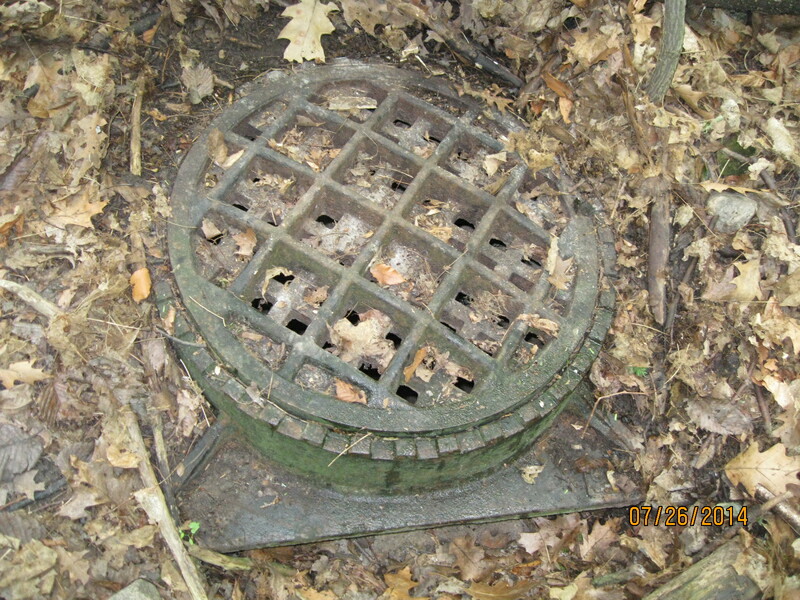 Near this we found another cover that was nearly buried in leaves and soil. This one is unlike any I’ve ever seen before. As mentioned in an earlier post, the province of Ontario was well known for it’s brick buildings. Some bricks are made with three round holes that reduce the amount of clay required and improve the speed of drying. A lot of early brick buildings are originally wooden buildings that have been veneered in brick. 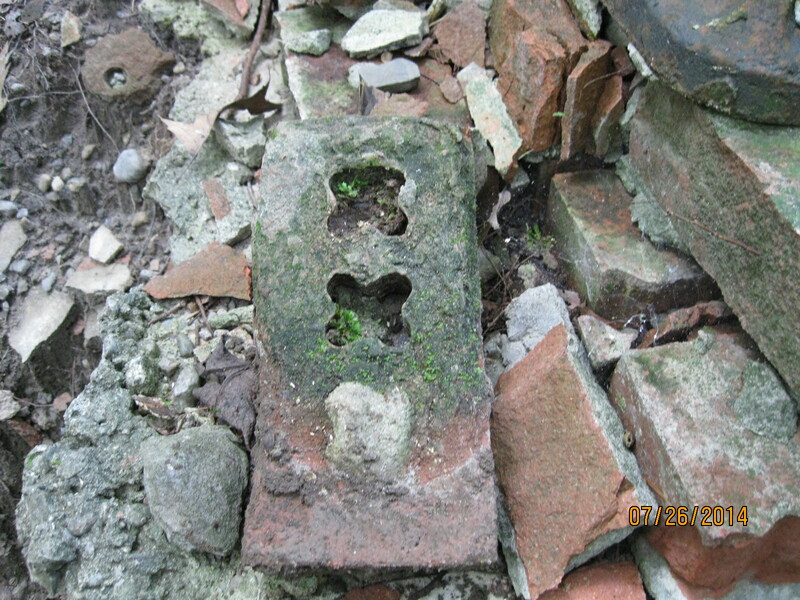 The holes are then used to tie the brick skin to the building using metal straps. This brick is unique in it’s patterned holes. 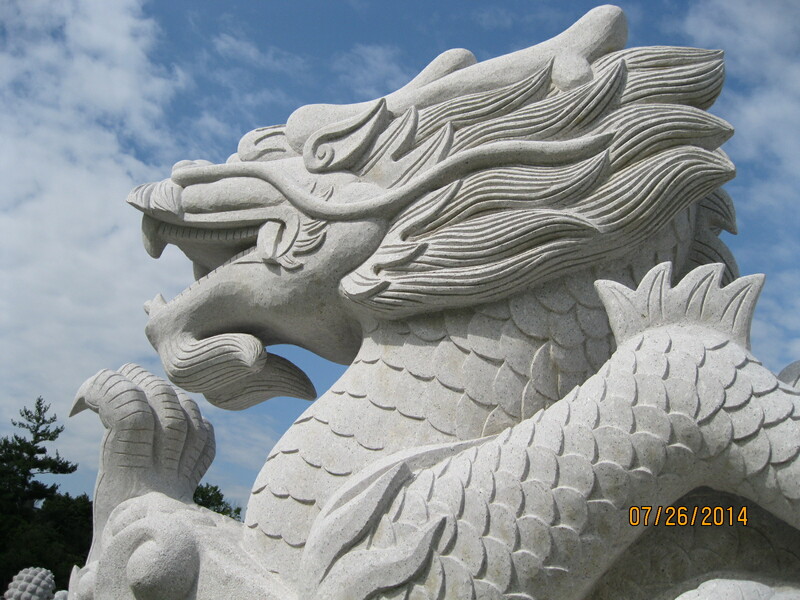 Climbing the hill to the clearing above brought us face to face with a dragon. This is part of a large memorial being erected in North York Cemetery. 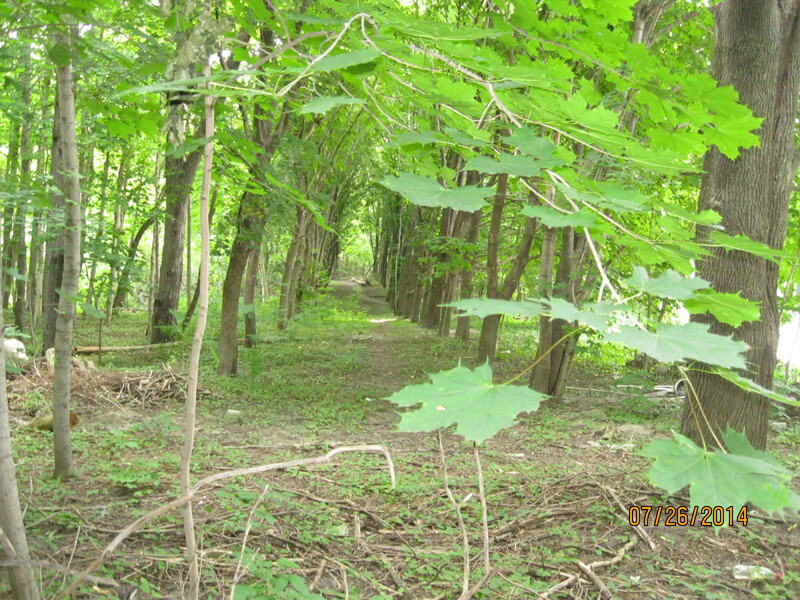 As we arrived back at the car we passed through a double row of trees that mark an old lane way. That was our clue to head home and start hiking the lane way into the house where my wife and I were moving. This entry was posted in Don River, Hiking GTA and tagged Don River, GTA, Hiking, Toronto on August 3, 2014 by hikingthegta. Wow! That was a very interesting read. Thank you for posting.